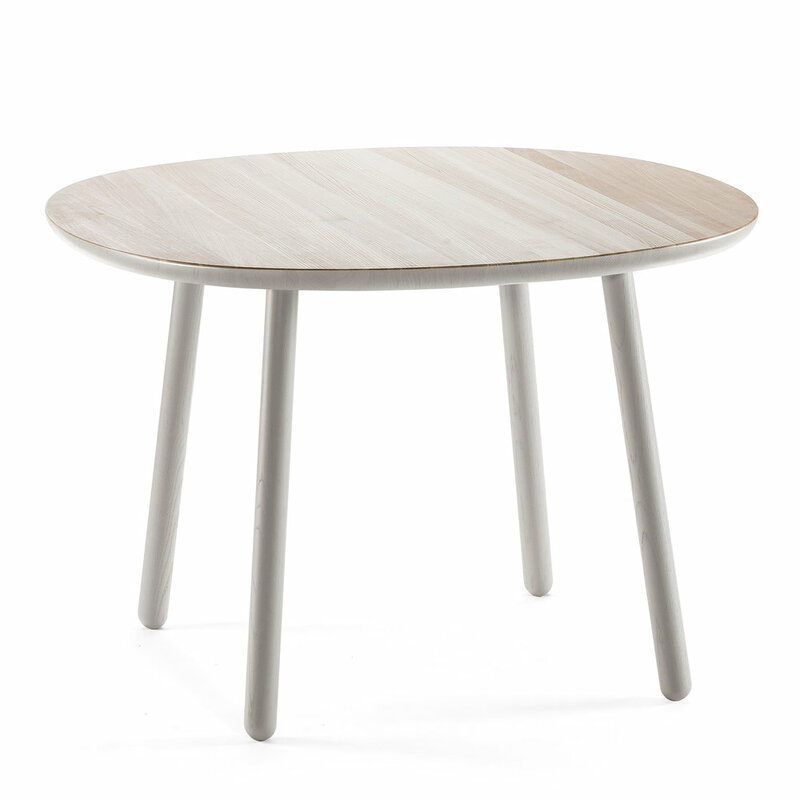 Table's modest and clean form is decided by a simple but lasting construction - each leg has its own base under the tabletop making the table strong enough to serve generations to come. The roundish tabletop contour is designed to create an inviting and cozy atmosphere for everyone sitting around it. The table is available fully oiled or with a colored body revealing just the oiled ash tabletop surface.